Companies are ranked on the basis of annual net revenue and include a listing of key customers and description of services, names of top executives and type of ownership, plus data on the number of employees. 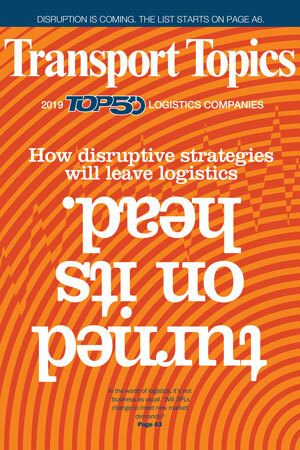 The Top 50 presentation also features a listing of logistics sectors, including freight brokerage, refrigerated warehousing,dry storage warehousing, dedicated contract carriers, airfreight forwarders and ocean freight fowarders. To be included in the Top 50 and sector lists, please send contact information to tteditor@ttnews.com. We will contact you via phone or email to get information about your company prior to publication of the next list. If your company appears in the 2019 list, you have a few ways to announce it! Visit our logo library, to get web- and print-ready graphics. Click here for logo library.